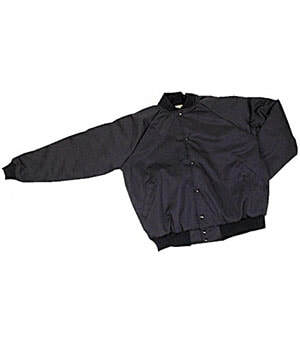 This Baseball Style Jacket is solid twill in color. It has knit cuffs and waistband. Also available in multiple colors in nylon fabric.